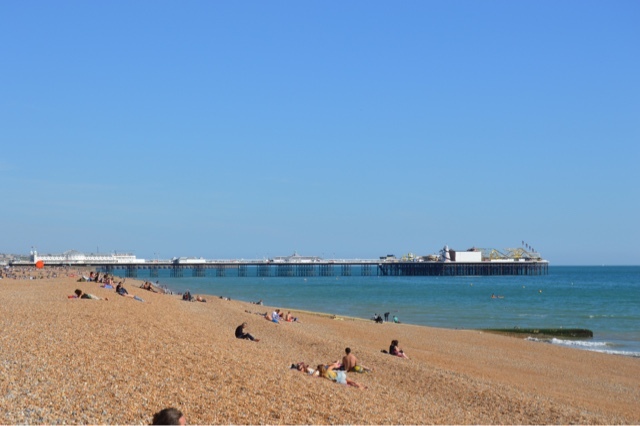 A few sunny weeks ago I took a little drive down to Brighton & Hove for the day. I've visited Brighton many times in the past but I think this was actually my most favourite visit. Maybe it was because the sun was shining so much that day or maybe it was the way we planned the day out but I really enjoyed it. I decided to drive to Hove (BN3) and park in one of the little roads off the seafront (the other end from the Pier). It's so expensive to park the Pier end of Brighton now and parking in Hove was free. I'd never been to Hove properly before but I've now decided if I ever move anywhere else in the UK it will be here. It's a real locals place and is a lot quieter than central Brighton. We then took a slow walk up to the Pier. We stopped along the way a few times otherwise it would have been about an hour walk so it was nice to take little breaks. We stopped for lunch at a place called The View which I would definitely recommend. As the name suggests it is literally on the beach with a beautiful view of the sea. 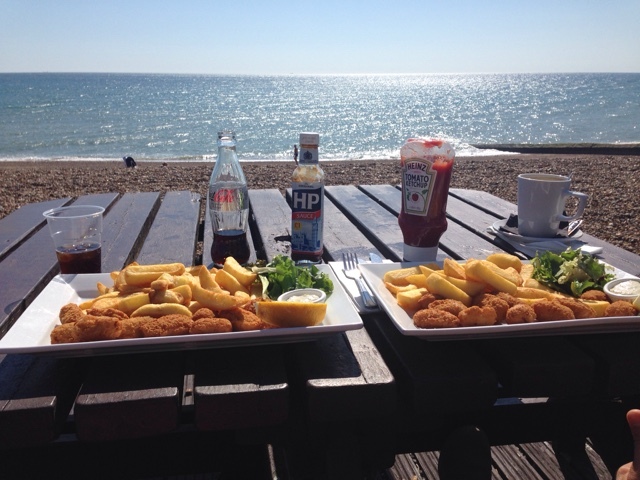 We of course enjoyed a meal of fish and chips. 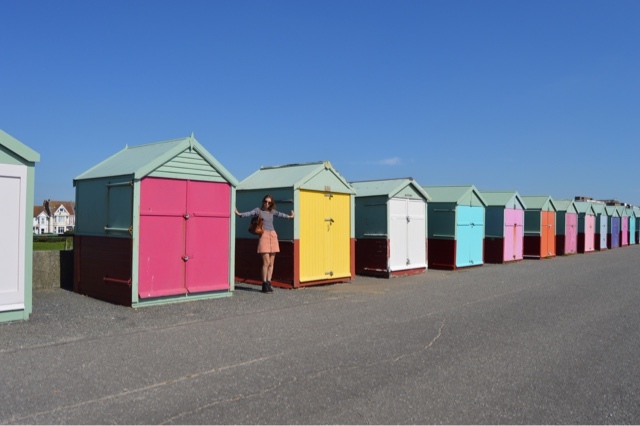 Then we carried on walking and came across the colourful beach huts which are so cute and definitely Instagram worthy so obviously we took loads of snaps. We then walked some more and sat down at a little bar that had a live singer. Lastly we arrived at the Pier which was crowded with people and children playing on the rides. The music was load and the atmosphere was buzzing. By this time we fancied an ice cream and I went for my favourite; toffee flavour! We then took a slow walk back to the car. All in all we spent about 5-6 hours there and I really liked the idea that we'd parked in Hove and walked along as it spread the day out a bit more. 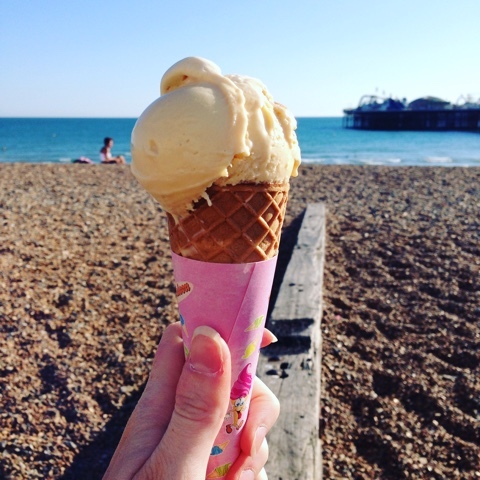 Have you ever visited Brighton? 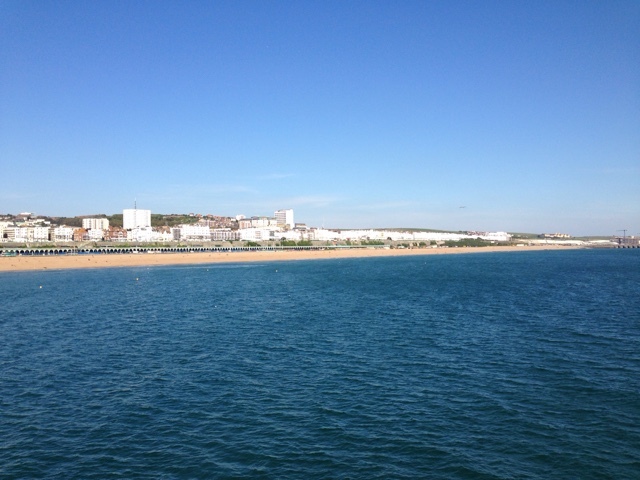 Are there any other seaside towns you can recommend to me?